Let me just start by saying we live in a really cool time in history. 🙂 I published a blog post on Saturday evening about how I noticed that Discogs.com had an API and how COOL it would be to have a site that pulled in all the data. I keep an online record of my vinyl collection there so it seemed like a half-decent idea to see if my data could be pulled into a site that I control. Well, I’m proud to say that not even 48 hours later and it exists (head over to vinyl.adamcroom.com if you would like to see it) thanks MOSTLY to Tom Woodward who shall be given any vinyl he’s ever wanted. For the majority of the technical specs, I recommend that you read Tom’s blog where he brilliantly details how he parsed the API into a Google Spreadsheet and then turned it into a WordPress Custom Post Type. He’s shared both the script and the plugin. So there you have it. I’ve officially reclaimed my vinyl data. Raise your glasses to Tom, everyone. Let’s have a party. After adding some CSS style customizations to it, I went ahead and made a second version of the tool that could function as a widget on a single post so folks could surf around the site a bit quicker. On another note, my colleague John Stewart and I were having some conversations this morning about what other APIs could be beneficial to the project. One idea was to see how we could link the collection to information from other sources. 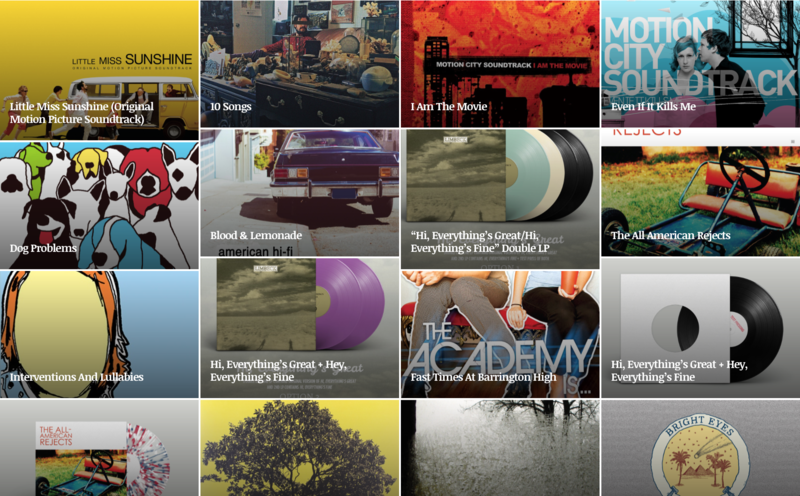 For instance, what if we pulled in the Spotify playlist for each record and embedded it directly within the post? Or what if we could pull the album images from the Amazon API? It’s a fun world once you started realizing how you can start to hook up the plumbing that’s been put out there for us on the web.